So for one of the tasks on my BTEC, I’ve goto to produce pictures with long exposures… and flashes…. and painting with light. I’ve come up with some using ‘Sidekick’, a monkey model that has been in the business for the past ten years or so. 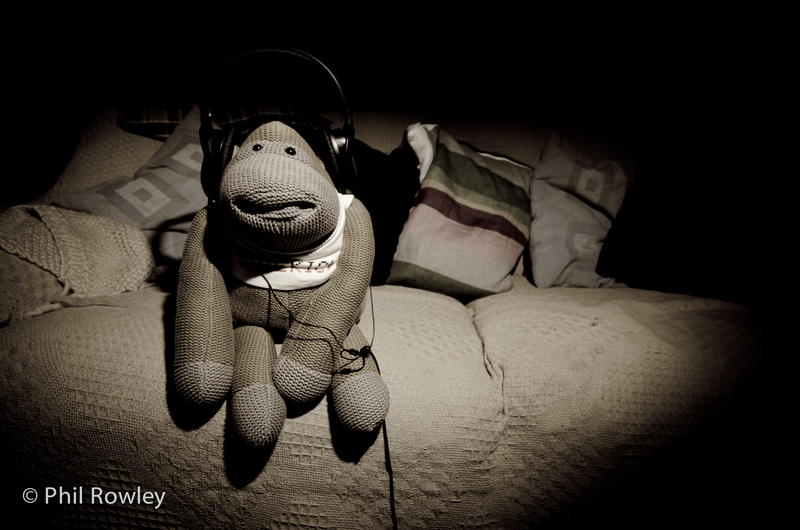 But before the main shoot I caught him relaxing, listening to some tunes.